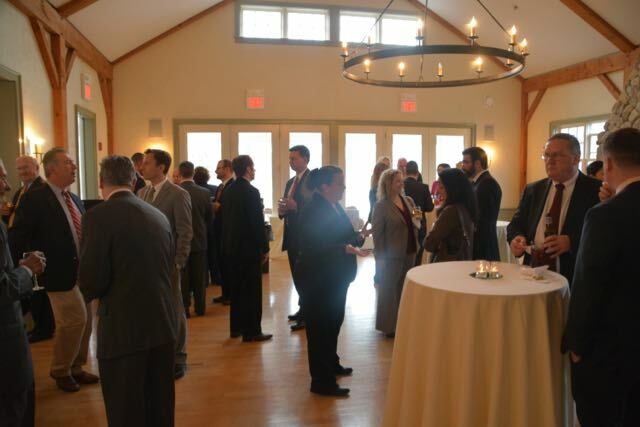 The Lawrence Bar Association Spring Dinner will be at 6:00 on March 28, 2019 at the North Andover Country Club. Attorney Ryan was instrumental in helping overturn thousands of drug convictions in which Sonja Farak was the chemist. Cocktails and Cash Bar begin at 6:00, with dinner to follow at 7:00. Please register by clicking this link or download the registration form. The Lawrence Bar Association Spring Dinner will be at 6:00 on March 22, 2018 at the North Andover Country Club. It is finally time to shake off the cold and engage in some warm conversation with your fellow LBA members. We are planning to hold another of our popular meet ups on Thursday, March 27th. Come join us in the bar area of Salvatore’s (354 Merrimack St in Lawrence) for a cash bar and great opportunities to meet and network with your colleagues. This event is open to all, so please feel free to forward to anyone who may be interested in joining us. Whether you have been to one of our meet ups in the past or are planning to come for the first time, we look forward to seeing you there!